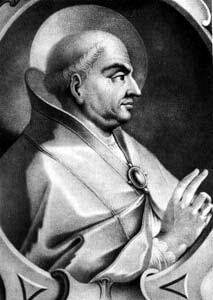 Saint Martin I, Pope and Martyr - My Catholic Life! After being elected the Bishop of Rome in 649, today’s saint called a local Council which established the correct theology of the Church regarding the two wills of Christ. For this teaching and its broad dissemination, Martin was abducted in Rome by emissaries of the Byzantine Emperor Constans II, brought to Constantinople, and humiliated. Martin refused to retract or bend to the Emperor’s incorrect theology, which denied that Christ had a human will. Martin was imprisoned, publicly flogged, maltreated, condemned for treason, and exiled from Constantinople to the Crimean Peninsula on the Black Sea. And there the Pope died—naked, starving, forgotten, and alone—far from Rome, in the year 655, a victim of bad theology and the last pope, so far, venerated as a martyr. Yet Eastern Christians, primarily in Egypt and Syria, clung to a Monophysite, or one nature, theology of Jesus Christ long after Chalcedon had settled the matter. The Second Council of Constantinople in 553 attempted, unsuccessfully, to pull the Monophysites back into the orbit of Chalcedon. By the 600s, tensions between Chalcedonians and Monophysites were a political problem for the Byzantine empire. So some Eastern theologians, supported by the Emperor, looked for common ground and proposed a one-willed Christ, instead of a one-natured Christ. This one-will heresy is called Monothelitism (monos = one; thelos = will). The issue of Christ’s will(s) had never been formally resolved, so the Emperor hoped a one-willed, instead of a one-natured, Christ would placate the Monophysites and unite his theologically diverse subjects. Chalcedon’s teaching on Christ’s two natures was ontological, or just logical, and did not explain how a person operates with dual intellects and wills. Monothelitists argued that if Christ’s two natures could seamlessly unite in one person, then so could His two wills. There was no human will in Christ, the argument went, because it was totally subsumed into the mightier divine will. But Pope Martin and others knew that this was theologically impossible, since a Christ without a functioning human will would have been a zombie, a ghost of a man. Nor could one argue that Jesus had one will divided into a divine and a human sphere, as Jesus was not a schizophrenic with a split identity. Martin’s theology of the two wills was vindicated when it was explicitly defined by the Third Council of Constantinople in 681. This Council taught Christ’s human will was “in subjection to his divine and all-powerful will.” That is, Christ’s two wills were separate in their natures but freely united in their object. How do two wills inside of one person enter into communion? In the same way that two wills in two different persons enter into communion. Each will gives free and independent assent to a principle, idea, or truth shared with the other will. The two wills retain their independence but freely unite in their assent to a common value. Thus Jesus’ human will, in total freedom, submitted to the will of the Son of God. During his captivity, Martin was hurt by the indifference which the Church of Saint Peter in Rome paid to one of their own. Martin was also deeply pained when a new Pope was elected though he was still alive. It is every pope’s duty to preserve the unity and integrity of the Church by preserving the unity and integrity of Christ. Martin did just that. The fruits of Martin’s martyrdom advanced theology toward its correct conclusion on Christ’s two wills in the decades after he died, even though poor Martin himself has been largely forgotten. 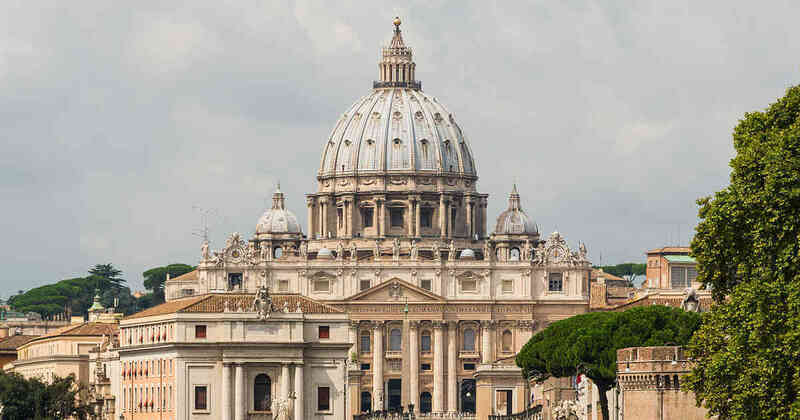 His remains were returned to the Eternal City after his death and he now rests in peace somewhere under the marble floor of Saint Peter’s Basilica. Pope Saint Martin I, through your intercession before the Father in Heaven, fortify all teachers and leaders of the Church to remain steadfast in the truth, to advocate for the truth, and to suffer for the truth, no matter the personal cost.